The Open Journal is Open for Submissions! It has taken a lot longer to get to this point than I thought it would when I first proposed the Open Journal of Astrophysics way back in 2012 but better late than never! For a while now we have been testing the platform with submissions we have solicited quietly for a while now and are satisfied that it works so we can now open up to the general public. The journal itself will go live early in the New Year when we have completed the refereeing process for those papers currently in the pipeline. There will be quite a few further things to announce then too. Before I give more instructions on how to submit let me briefly recap the philosophy of the Open Journal project. We no longer need traditional academics journals to disseminate research in astrophysics and cosmology. We all post our research to the arXiv and read other papers there too. It’s been years since I last accessed a paper in a journal. The only useful function that journals provide is peer review, and we in the research community do that (usually for free) anyway. We only need journals for peer review, although we also like the prestige that is associated with them. But traditional journals have an unnecessarily slow and expensive editorial process, along with a nasty habit of placing the articles they publish behind a paywall. The Open Journal does things differently, because we are not a publisher in the traditional sense. Instead, we are a peer-review platform, piggybacking on the arXiv for all the “publishing.” The Open Journal provides peer review for arXiv articles, making the process as fast and easy as we can. Once peer review for a particular article is successfully completed, we mark that article as accepted and send that information to the arXiv. Accepted articles will receive a DOI, and citations to them will get picked up through the CrossRef system just as they would in any other journal — but in a fraction of the time, and at a fraction of the cost. In fact, the service is provided free of charge both for authors and readers. There is no Article Processing Charge, no submission fee and no subscription is payable. The Open Journal is a service to the academic community, not a profit-making venture. Moreover, articles published by the Open Journal are open, in that all articles are released under a Creative Commons Attribution license. The infrastructure is open too – the code running the Open Journal is available under an MIT license. The reviewer comments can be made open too, with the agreement of both the authors and reviewer(s). In the long run I hope that the community will embrace the spirit of open reviewing so anonymous confidential reviews will become the exception rather than the rule, but we’ll see how that goes just for now. Any paper that’s suitable for the astro-ph section of the arXiv can be subvmitted to the Open Journal of Astrophysics. We will consider any “traditional” papers as well as others which may find it difficult to get into other journals, such as papers on astrophysics education or outreach or technical papers relating to instrumentation, mission proposals, and other documents. Note that the site is currently just called the Open Journal, which is so that it can be used with minimal modification to create similar journals in other fields. If you don’t want to watch the whole thing here’s a quick summary of the steps you have to take to submit to the Open Journal. If you don’t have one already, get an ORCID ID! Write your paper. There is latex style file you can use here, although it is not compulsory to use this and we will allow anything that produces a PDF that can be viewed easily using our mark-up tool. Single-column is strongly preferred. Submit your paper to the arXiv. You have to be registered in order to do this. Note also that you have to be prepared to submit your paper to the arXiv before it is reviewed. There is an enormous advantage in doing this, actually, as you may get more comments and suggestions than our refereeing system will generate. Go to the submit tab on the left hand side of the screen. Our software will assign the paper to an editor, who will then select referee(s). Each referee makes comments by marking “issues” on the PDF, each of which needs a reply from the author. When all issues are resolved the paper is accepted. If revision is required a new version can be submitted to the arXiv which will be picked up by the software. When it us ready our software will automatically assign a DOI and write it to the appropriate field in the arXiv. That’s it! The paper is published and can be accessed either directly on the arXiv or through the Open Journal website. Go and have a beer. One other thing is worth mentioning. Because this service is provided free we do not have the effort required to undertake extensive copy-editing or rewriting of papers that are very poorly written. 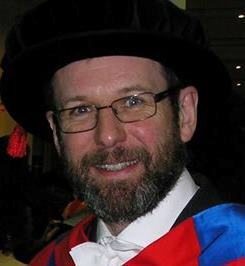 If the editor or referee deems a paper to be unfit for review then we will refer the author to a professional writing and editing service who will charge a fee depending on the length and complexity of the task. As well as submissions we are also looking for new editors. At the moment our Editorial Board is dominated by cosmologists but as word gets round we will probably need expertise in other areas of astrophysics. If you’d like to volunteer please send me an email or use the comment box below. Well, that’s about it. I just remains for me to thank all the people without whom this project would never have got off the ground, chiefly Chris Lintott, Arfon Smith and Adam Becker, developers Stuart Lynn and Marc Rohloff, and of course the good folk of the wonderful arXiv! Are we being shortchanged in our Celebrations tubs? Here’s a chance to provide some data for an important study. It probably helps if you like chocolate. Yesterday I posted a tongue-in-cheek picture on Facebook of a bar chart (not the one above) that I made up of sweets in a Celebrations tub. It was a riposte to a pie chart that Simon Brew had done here. As someone who likes good data visualisation I find pie charts nearly always to be worse than a bar chart – if you want to know why read Edward Tufte or this or this. Below, on the left is Simon’s pie chart, and on the right is the bar chart I did with my own tub of Celebrations. My bar chart shows I’m clearly being short changed on the Malteasers (which I love) and there are far too many Bounty bars (who likes Bounty bars?!?). The rain’s lashing down outside so instead of going out I thought I’d indulge myself with a bit of musical entertainment. This piece is the Grand Pas de Deux from a seasonal Christmas favourite, the ballet The Nutcracker, by Piotr Ilyich Tchaikovsky (Op. 71). It reminds of an occasion, almost twenty years ago, when I had the chance to go to a concert at the Berliner Philharmonie. This was such a long time ago that I’ve forgotten which visiting orchestra was playing, although I do remember that it was Russian and extremely good. The main programme consisted of Stravinsky (Petrushka Suite) and Shostakovich (Symphony No. 10) but at the end they did this as an encore. In performances of the ballet this piece is usually taken quite slowly to accommodate the dancers but, as is more often the case in concert performances, this time the orchestra took it at a brisk pace and with so much passion and colour it was like I was hearing it for the very first time. People can be snobbish about Tchaikovsky because he’s “too popular”. Well, this is a popular piece for one reason and one reason only: it’s beautiful. It’s hard to believe it’s a whole year since I found myself as a surprising contender for this coveted award (only to see my challenge fade badly in the final stages). Anyway, here’s a reblog to encourage you to cast your vote in this year’s poll. As usual I don’t know who most of the contenders are, but I’m sure you will all find a favourite. I voted for Moeen Ali, by the way.. 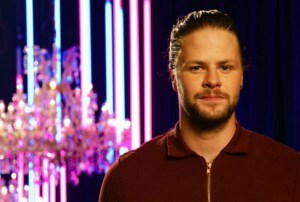 The Beard Liberation Front, the informal network of beard wearers, has said that Jay McGuiness part of the winning pair in the 2015 Strictly Come Dancing final has joined the Beard of the Year 2015 shortlist. The winner is determined by an on-line poll of supporters currently in progress. The Award is focused on those whose beard has had the most positive impact in the public eye during 2015. Back from a two-day meeting in Edinburgh about the Euclid Mission, I have to spend a couple of days this weekend in the office before leaving for the holidays. I was a bit surprised at the end of the meeting to be asked if I would be on the panel for the closing discussion, discussing questions raised by the audience. The first of these questions was – and I have to paraphrase becase I don’t remember exactly – whether it would be disappointing if the Euclid mission merely confirmed that observations were consistent with a “simple” cosmological constant rather than any of the more exotic (and perhaps more exciting) alternatives that have been proposed by theorists. I think that’s the likely outcome of Euclid, actually, and I don’t think it would be disappointing if it turned out to be the case. Moreover, testing theories of dark energy is just one of the tasks this mission will undertake and it may well be the case that in years to come Euclid is remembered for something other than dark energy. Anyway, this all triggered a memory of an old post of mine about Alfred Hitchcock so with apologies for repeating something I blogged about 4 years ago, here is a slight reworking of an old piece. Unpick the plot of any thriller or suspense movie and the chances are that somewhere within it you will find lurking at least one MacGuffin. This might be a tangible thing, such the eponymous sculpture of a Falcon in the archetypal noir classic The Maltese Falcon or it may be rather nebulous, like the “top secret plans” in Hitchcock’s The Thirty Nine Steps. Its true character may be never fully revealed, such as in the case of the glowing contents of the briefcase in Pulp Fiction , which is a classic example of the “undisclosed object” type of MacGuffin, or it may be scarily obvious, like a doomsday machine or some other “Big Dumb Object” you might find in a science fiction thriller. It may even not be a real thing at all. It could be an event or an idea or even something that doesn’t exist in any real sense at all, such the fictitious decoy character George Kaplan in North by Northwest. In fact North by North West is an example of a movie with more than one MacGuffin. Its convoluted plot involves espionage and the smuggling of what is only cursorily described as “government secrets”. These are the main MacGuffin; George Kaplan is a sort of sub-MacGuffin. But although this is behind the whole story, it is the emerging romance, accidental betrayal and frantic rescue involving the lead characters played by Cary Grant and Eve Marie Saint that really engages the characters and the audience as the film gathers pace. The MacGuffin is a trigger, but it soon fades into the background as other factors take over. There’s nothing particular new about the idea of a MacGuffin. I suppose the ultimate example is the Holy Grail in the tales of King Arthur and the Knights of the Round Table and, much more recently, the Da Vinci Code. The original Grail itself is basically a peg on which to hang a series of otherwise disconnected stories. It is barely mentioned once each individual story has started and, of course, is never found. Physicists are fond of describing things as “The Holy Grail” of their subject, such as the Higgs Boson or gravitational waves. This always seemed to me to be an unfortunate description, as the Grail quest consumed a huge amount of resources in a predictably fruitless hunt for something whose significance could be seen to be dubious at the outset.The MacGuffin Effect nevertheless continues to reveal itself in science, although in different forms to those found in Hollywood. The Large Hadron Collider (LHC), switched on to the accompaniment of great fanfares a few years ago, provides a nice example of how the MacGuffin actually works pretty much backwards in the world of Big Science. To the public, the LHC was built to detect the Higgs Boson, a hypothetical beastie introduced to account for the masses of other particles. If it exists the high-energy collisions engineered by LHC should reveal its presence. The Higgs Boson is thus the LHC’s own MacGuffin. Or at least it would be if it were really the reason why LHC has been built. In fact there are dozens of experiments at CERN and many of them have very different motivations from the quest for the Higgs, such as evidence for supersymmetry. Particle physicists are not daft, however, and they have realised that the public and, perhaps more importantly, government funding agencies need to have a really big hook to hang such a big bag of money on. Hence the emergence of the Higgs as a sort of master MacGuffin, concocted specifically for public consumption, which is much more effective politically than the plethora of mini-MacGuffins which, to be honest, would be a fairer description of the real state of affairs. Even this MacGuffin has its problems, though. The Higgs mechanism is notoriously difficult to explain to the public, so some have resorted to a less specific but more misleading version: “The Big Bang”. As I’ve already griped, the LHC will never generate energies anything like the Big Bang did, so I don’t have any time for the language of the “Big Bang Machine”, even as a MacGuffin. While particle physicists might pretend to be doing cosmology, we astrophysicists have to contend with MacGuffins of our own. One of the most important discoveries we have made about the Universe in the last decade is that its expansion seems to be accelerating. Since gravity usually tugs on things and makes them slow down, the only explanation that we’ve thought of for this perverse situation is that there is something out there in empty space that pushes rather than pulls. This has various possible names, but Dark Energy is probably the most popular, adding an appropriately noirish edge to this particular MacGuffin. It has even taken over in prominence from its much older relative, Dark Matter, although that one is still very much around. We have very little idea what Dark Energy is, where it comes from, or how it relates to other forms of energy we are more familiar with, so observational astronomers have jumped in with various grandiose strategies to find out more about it. This has spawned a booming industry in surveys of the distant Universe (such as the Dark Energy Survey or the Euclid mission I mentioned in the preamble) all aimed ostensibly at unravelling the mystery of the Dark Energy. It seems that to get any funding at all for cosmology these days you have to sprinkle the phrase “Dark Energy” liberally throughout your grant applications. The old-fashioned “observational” way of doing astronomy – by looking at things hard enough until something exciting appears (which it does with surprising regularity) – has been replaced by a more “experimental” approach, more like that of the LHC. We can no longer do deep surveys of galaxies to find out what’s out there. We have to do it “to constrain models of Dark Energy”. This is just one example of the not necessarily positive influence that particle physics has had on astronomy in recent times and it has been criticised very forcefully by Simon White. Whatever the motivation for doing these projects now, they will undoubtedly lead to new discoveries. But my own view is that there will never be a solution of the Dark Energy problem until it is understood much better at a conceptual level, and that will probably mean major revisions of our theories of both gravity and matter. I venture to speculate that in twenty years or so people will look back on the obsession with Dark Energy with some amusement, as our theoretical language will have moved on sufficiently to make it seem irrelevant. But that’s how it goes with MacGuffins. Even the Maltese Falcon turned out in the end to be a fake. The press office at the European Space Agency is apparently determined to release as much interesting material as possible in the week before Christmas so that as few people as possible will notice. I mentioned one yesterday, and here is another. The press-release marks the publication of the first results from this survey on 15th December 2015. The clusters of galaxies surveyed are prominent features of the large-scale structure of the Universe and to better understand them is to better understand this structure and the circumstances that led to its evolution. So far 450 clusters have been identified – they are indicated by the red rings in the picture. Note that the full moon is shown at the top left to show the size of the sky area surveyed. If you’ll pardon a touch of autobiography I should point out that my very first publication was on galaxy clusters. It came out in 1986 and was based on data from optically-selected clusters; X-rays emission from the very hot gas they contain is a much better way to identify these than through counting galaxies by their starlight. Cluster cosmology has moved on a lot. So has everything else in cosmology, come to think of it! Is This the Beginning of the End of the Standard Model?